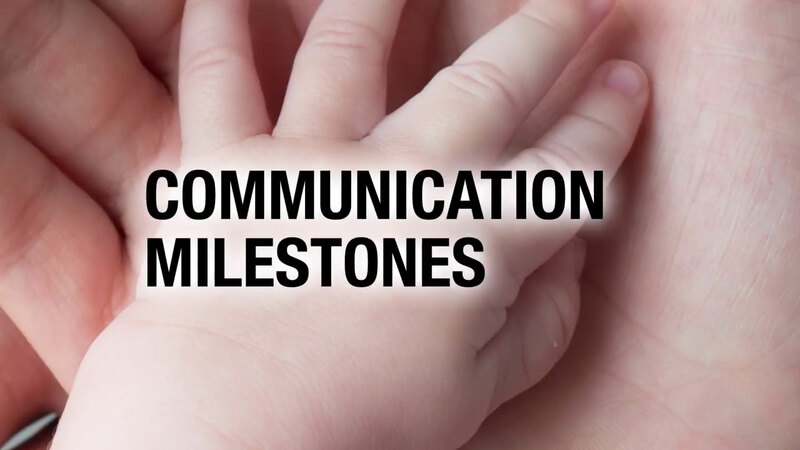 - The very first develop milestone that parents should look at is eye contact. Eye contact begins when a baby and a mom look at each other. Eye contact is key for communication. The next issue is joint attention, and that's where a parent, or a child and a partner, share an event or an object or something, they are sharing and there's a togetherness about it. They're both focused on the same thing. Then comes the turn taking. Turn taking is important for social communication as well as everything else, because that's how life goes, we take turns. Otherwise, it's not a conversation. We speak, the other person speaks, it's a back and forth, give and take. So that is an essential skill that needs to be worked on with little ones who are developing these issues. Now, motor skills is an issue that needs to be addressed. Some children don't understand imitation. So we start with gross motor imitation. You can take them to a mirror, and they imitate your movements, you imitate their movements, they'll get the idea of gross motor imitation. That can move into fine motor imitation, and that's where you can start teaching your child some of the speech sounds, because that is more of a fine motor imitation. Toddlers are more interested in imitating sounds than they are at imitating words. So when you're playing with your toddler, when you push the car, don't just push the car but push it and say, "Vroom, vroom!" When you're beating on the drum say, "Bang, bang!" When you're popping bubbles say, "Pop, pop!" And soon when your toddler puts those things together, the cow says moo, and the car says vroom, and the drum says bang, bang, and the bubbles say pop, pop, all of those become sounds that will turn into words and words into phrases and phrases into sentences. So it starts with simple sounds that the children make.